Jana’s athletic background contributes to her strong work ethic in all aspects of her law practice. She advises and represents public and private sector employers on labour, employment and human rights issues. Jana focuses on labour and employment and human rights law, representing public and private sector employers in a wide variety of industries. She provides practical strategic advice on all matters relating to federal and provincial labour and employment law, including, among other issues, collective agreement negotiation and interpretation, employment standards, the drafting and implementation of employment contracts and workplace policies, advising on disciplinary matters and terminations, navigating human rights, harassment and accommodation situations, and defending employers facing litigation. She acts for unionized and non-unionized employers. 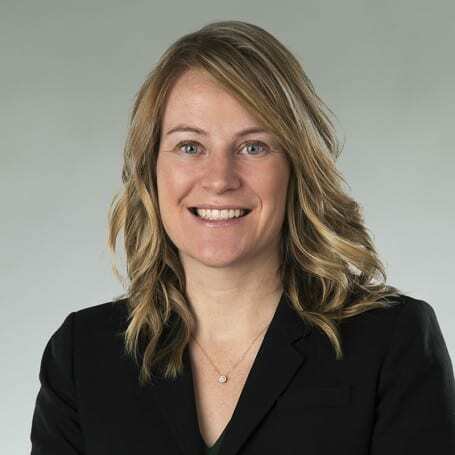 Jana has represented clients at all levels of Saskatchewan courts, as well as the Saskatchewan Labour Relations Board, arbitration boards and various administrative boards and tribunals. She clerked with the Saskatchewan Court of Queen’s Bench. Acts for private and public employers throughout Saskatchewan in a variety of sectors including mining, manufacturing, construction, municipalities, health care, education, non-profits and retail, among others. You’re Fired! Performance Deficiencies: When Is Termination the Answer?